It's been another wonderful Thanksgiving. 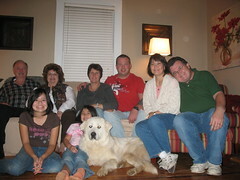 We enjoyed eating at Matt and Katherine's house again this year. 2009 has gone by very fast. 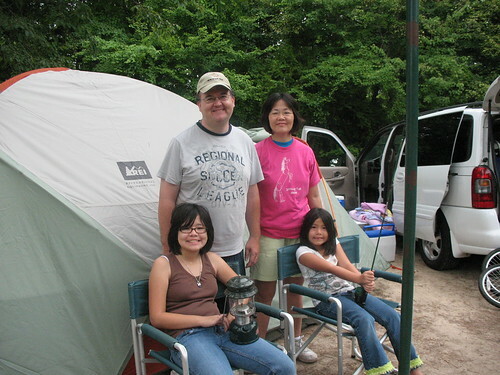 We had a great time on our family camping trip. This was our second trip. Our first was only a couple of months ago on Memorial Day and we had a great time. As nice as our first trip was, this trip was even better. We went with 63 friends from our church. 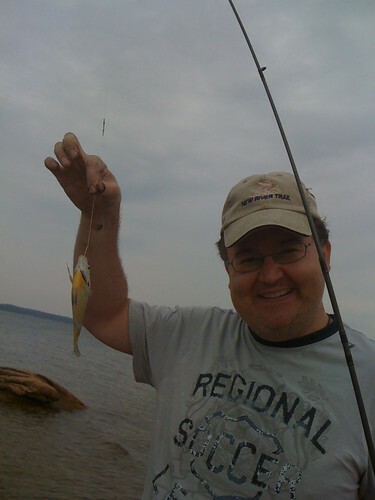 The trip was at the John Kerr Reservoir in Virginia. We spent July 3 through July 5. We learned about camping from more experienced campers. We also enjoyed deepening our friendships with our church family. 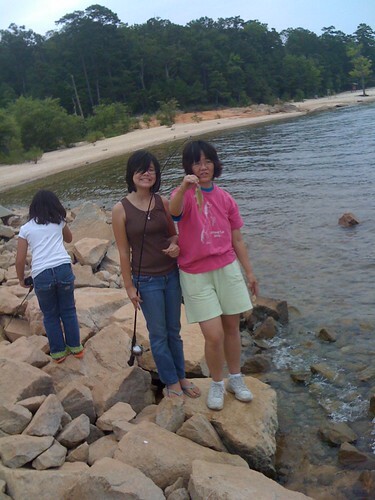 We enjoyed swimming, fishing, biking, and a beautiful, peaceful setting. On Independence Day, we had a patriotic service with singing and a brief sermon from our pastor. It was a wonderful trip. I'll post pictures later today. 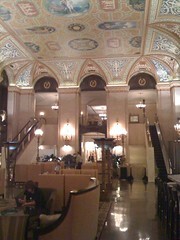 I just checked into the Palmer House Hilton in Chicago. 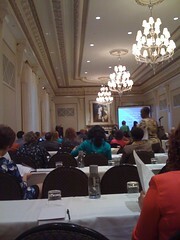 I am attending a conferene on rural healthcare. As one friend commented, it is ironic to have that conference here. I miss my girls already. At least I will get some good pizza tonight. The hotel is fancy. 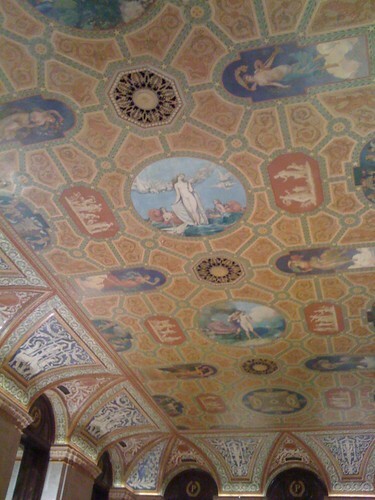 The Fresco on the ceiling of the lobby is beautiful. 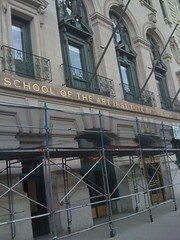 One of my favorite Chicago attractions, the Art Institute. I wish I could have viewed the art this time. The food was very good (and very expensive). Believe it or not, I did attend all the lectures and learned a lot about rural healthcare. 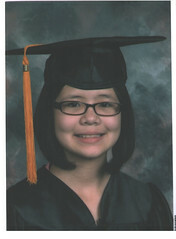 Last Friday (6-12-2009), Amanda graduated from 5th grade. She is growing fast and Julie and I are very proud of her. I think she may have set a record for the number of awards she won. 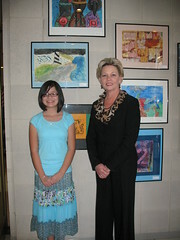 This last picture was from March, 2009 and shows Amanda's art on display at the North Carolina State Capitol. Her piece is the lighthouse just above her head. She has had a wonderful schoolyear. Steve Jobs may not be the easiest guy to get along with, but he sure is good at delivering commencement speeches. Do you think if your main industry sails away to foreign countries, if the tax base of your city dries up, you won't have crumbling houses and men sleeping on church floors, too? Do you think if we become a country that makes nothing, that builds nothing, that only services and outsources, that we will hold our place on the economic totem pole? Detroit may be suffering the worst from this semi-Depression, but we sure didn't invent it. And we can't stop it from spreading. We can only do what we do. Survive. And yet, we're better at that than most places. Hopefully, 2009 will be a good year for Michigan. 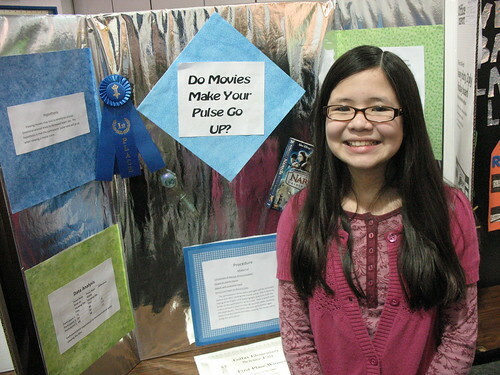 On 1-13-09, Amanda and Emily both participated in their school science fair. Emily is in 1st grade and Amanda is in 5th grade. They both attend Colefax Elementary School. Amanda's project evaluated the impact of move watching on pulse rate. 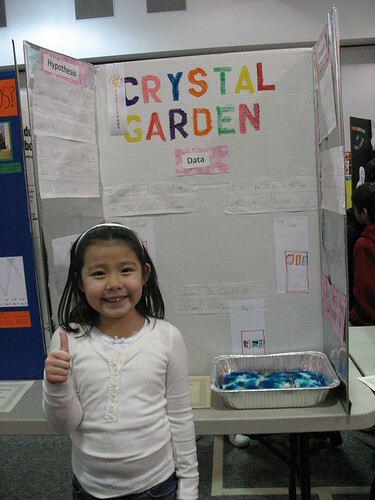 Emily grew a "Crystal Garden". She had fun time. Both girls did a great job on their projects.